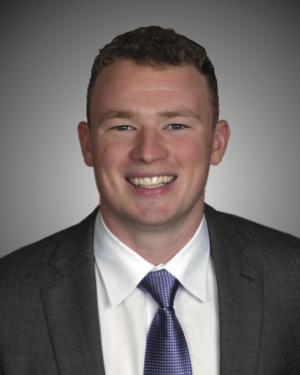 ATLANTA, GA (August 27, 2018) — CU Capital Market Solutions, a credit union CUSO, has hired Daniel Skehan to a newly created risk analyst position. He will work in CMS’ Kansas City office. Skehan played wide receiver for the 2017 National Champion Crimson Tide squad. He graduated with a degree in Economics from Alabama’s Culverhouse School of Business. At the onset, he will be responsible for coordinating, integrating and ensuring timely and accurate delivery of the firm’s risk reporting services. Skehan will perform interest rate risk analysis and monthly portfolio reporting for CMS’ credit union clients and will assist advisors in client relationship management. Skehan came to CMS through the 1st & Ten Club of Alabama, whose purpose is assisting graduating Alabama Student/Athletes in the transition from college athletics to their chosen career path. CU Capital Market Solutions (CMS) is a credit union service organization (CUSO) and Registered Investment Advisor (RIA) that specializes in innovative capital market solutions, earnings and balance sheet optimization, and specialized assets and loan programs. These financial tools are designed to enhance credit unions’ ability to maximize earnings, grow assets and expand net interest margin. CMS provides secondary capital, term funding and overnight funding to qualified low-income designated credit unions (LICUs). CMS also provides unique, approved, alternative asset products, and USDA and SBA loan participations and programs to all qualified credit unions. The CMS “Total Solution” has a proven track record of delivering the results that credit unions need to excel. For more information call 800-222-0978 or email info@cucmsllc.com.